While I am between jobs, I have started to participate in a few photography challenges on Facebook. They are kind of fun and definitely stimulate my creativity. They remind me somewhat of assignments that I used to hand out when I taught photography. For example: photograph yellow. Shoot the assignment. Think outside the box. Before I continue on with the blog, take a look at this photo. What do you see? No sharing answers or looking at your neighbor’s paper. Or texting the answer. Last week’s challenge was to submit a picture of the sunset. 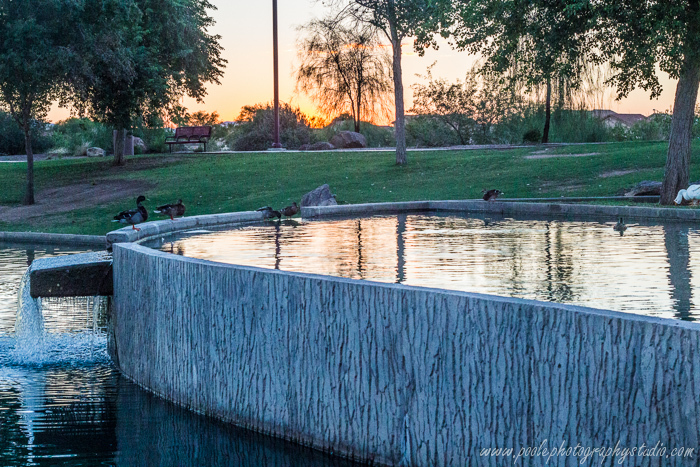 Letting my procrastination tendency run wild, I finally went out to shoot the sunset on Friday the 13th. By the time I got to my “secret sunset location”, I was too late. (photographers’ always seem to have a “secret location”. I don’t have one, but it sounds cool to say it), The sun had gone below the horizon. That sucker sinks fast.! The results were pretty dismal. This is one of the semi-best of a poor sampling. On Saturday, I made myself leave an hour earlier, I returned to my double secret sunset site, There was also an extremely interesting cloud formation that I felt might give me the opportunity to get some above average sunset images. As the above image shows, I got there in plenty of time. 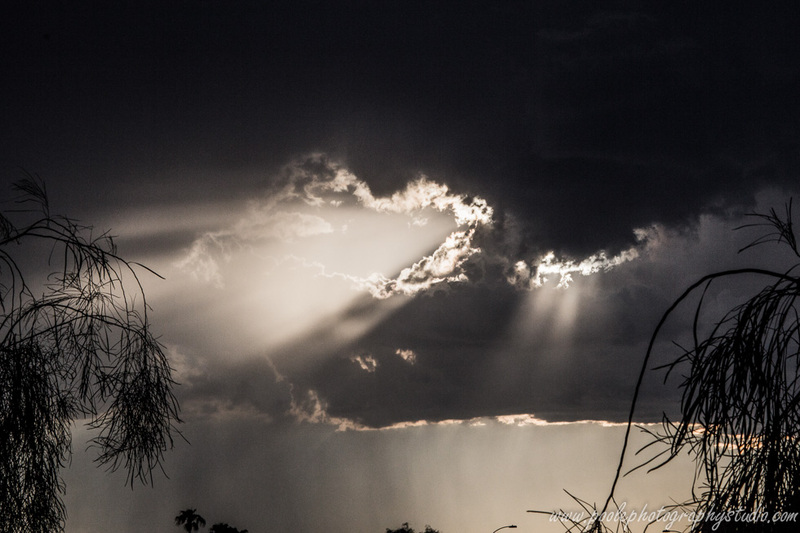 I was able to take advantage of the cloud formation with the bright sun shining through. Yes, I am aware it is talking about “the sunrise”, but I am granting myself a little artistic license in this case. I also took the opportunity to experiment a bit. I had hoped to get the sunset reflected in the water, but as it turned out, the best sunset shots were on the other side of the canal and the bridge was not close to where I was shooting, meaning I couldn’t easily travel back and forth. I chose to stay on the side that gave me the best view of the sunset. I came away very satisfied with the overall quality of my sunset series. 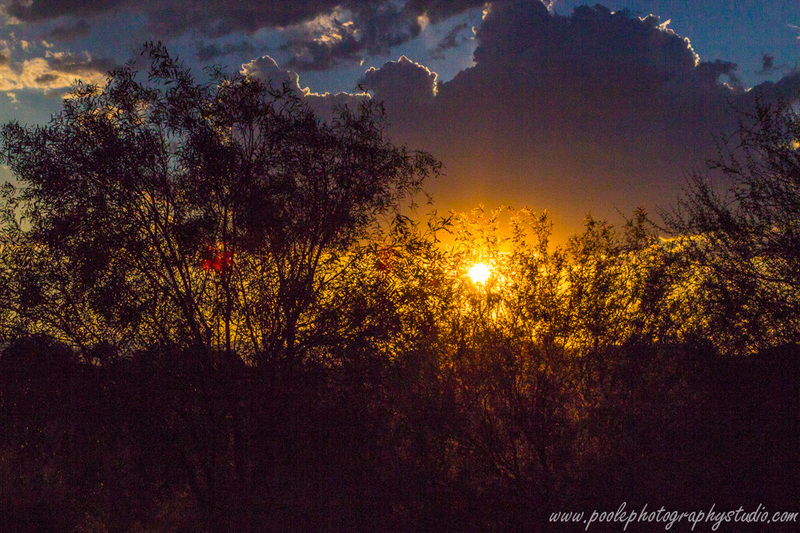 I was able to track and photograph the sun as it dropped down under the cloud cover to its’ descent below the horizon, creating all those wonderful colors that make up our outstanding Arizona sunsets. 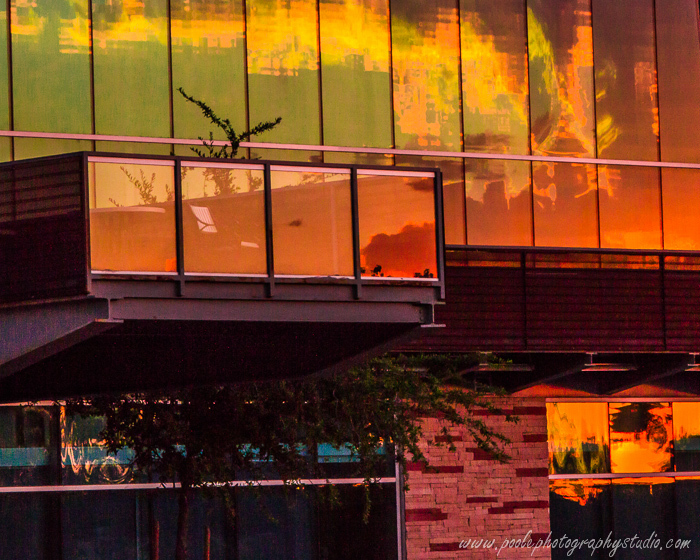 As the original plan of shooting the reflection off of the water was not an option for me, I came up with the idea of photographing the reflection of the sunset off of the windows of a nearby office, just to add a little touch of creativity to the session. 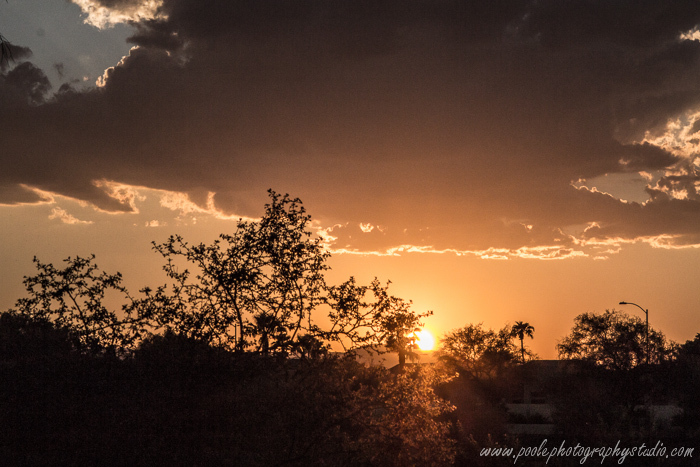 I am pleased with my sunset session. I do not normally shoot landscape photographs, so this was a bit out of my comfort zone. I am glad I took the challenge. I will share more of my favorite images from this session on my Facebook gallery. NOW LET’S TAKE OUR ATTENTION BACK TO THE FIRST PHOTOGRAPH. HAVE YOU FIGURED IT OUT? My friends and I began using the term “duckies and horsies” as a catch phrase for things that are relatively unimportant or frivolous compared to other life events going on in the universe. And with that HUGE hint, I hope you saw the same thing I did… a duck! 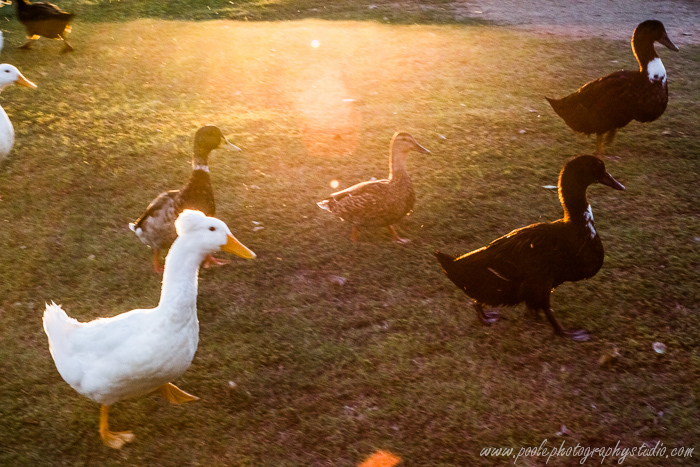 While waiting for the sun to go down, I did amuse myself by taking several photographs of the many ducks that inhabit the park. 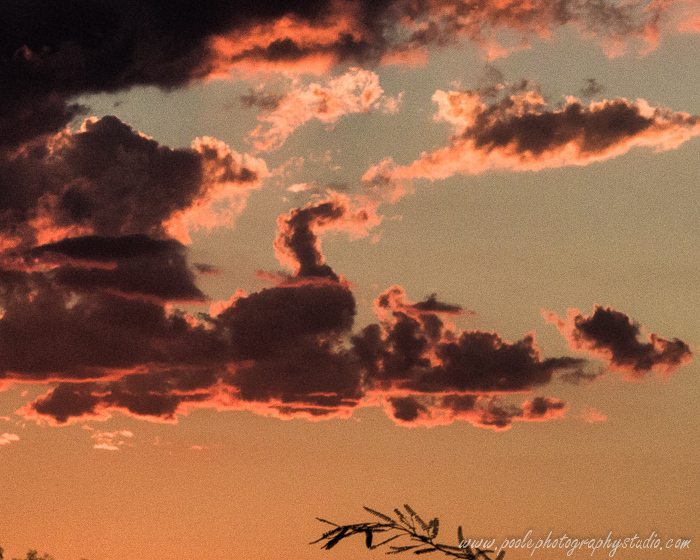 Now this may seem like “duckies and horsies” to you, but I thought it pretty cool of Mother Nature to arrange having a “cloud duck” for me to photograph as well as the live ones. Finally, in the context of larger events, I am sending my prayers and good wishes to the Navy Yard victims and the Colorado flood victims. To see the actual comic strip by Shulz, click here. 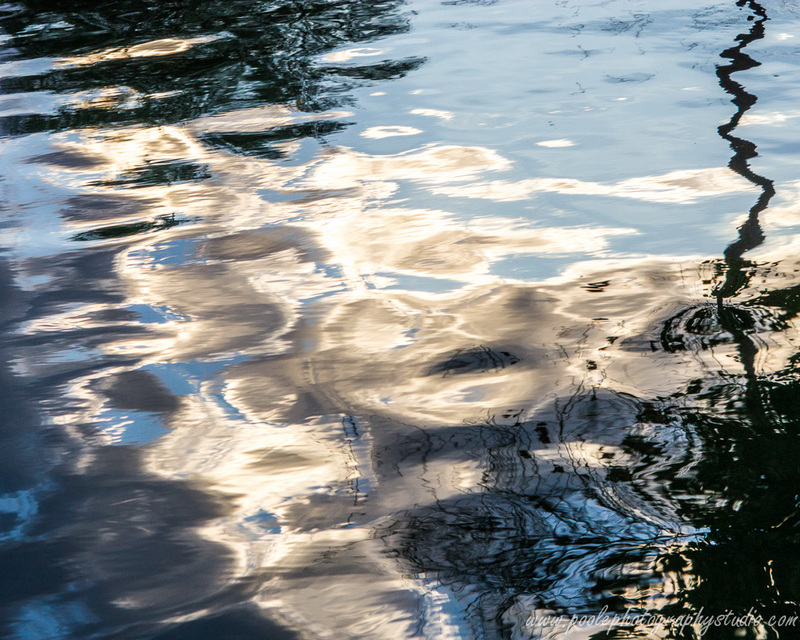 great shots and I especially love the water reflections. I love your perspective. Great photos! I can’t think of many variations of saying “thank you”, but I do appreciate everyone’s positive comments. As I said, I rarely shoot landscapes, so it is nice to know that others find them acceptable. Those are stunning sunset photos! My favorite one is the black and white one. Your so talented at architecture and landscapes! I love the sky in your photographs! Thanks. 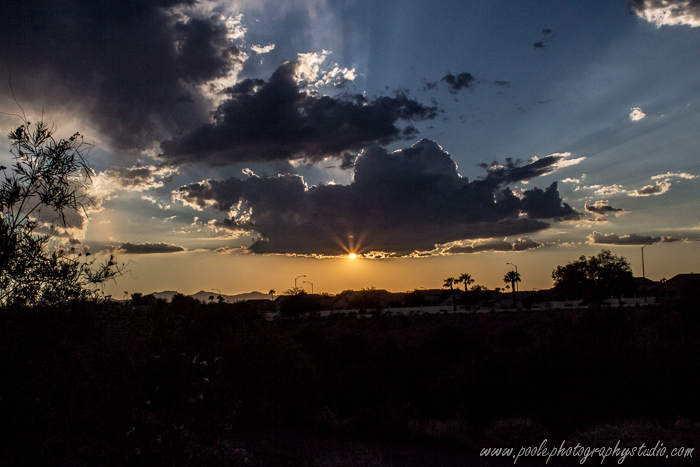 Arizona sunsets are quite special. Haha. One of the few times a little procrastination worked. These are AMAZING shots! Absolutely gorgeous. Usually the type you see on Tumblr with a gazillion reblogs, haha. Thank you very much. And thanks for the heads up on how to comment on Blogspot. Much appreciated.